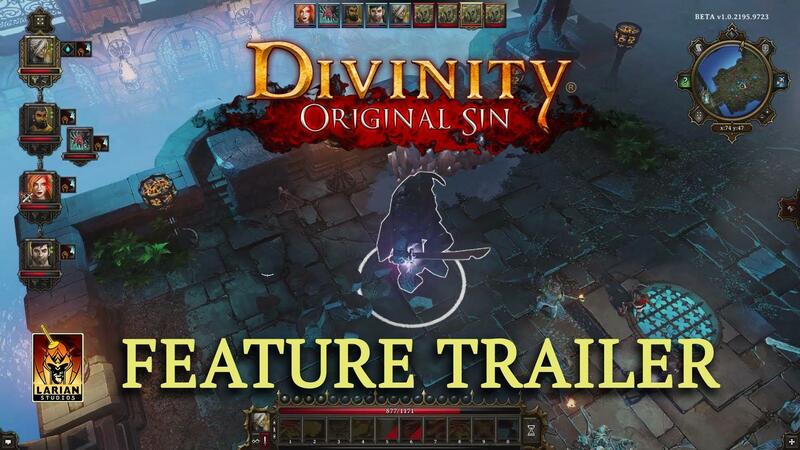 It's no secret that a lot of people are impatiently waiting for the promised Linux port of Divinity: Original Sin, but we have a little more insight as to why now. So, right now it looks like they won't start re-porting it until the Windows version has the big new "cool" feature. You can see the developers full forum post here. It does look fantastic, and has a lot of good reviews, but it is sad that we have to wait this long for the port. Hopefully it will be rock solid when it's released for us. The most important thing to take away from this is that the Linux version will happen, and once Linux support is in their engine properly, future games will include Linux support. Thanks for pointing it out Koala BR! If I pledge toward a certain level and it gets reached I assume (naive boy that I am) that you will deliver before the end of time. I'm a bit confused. What do you suggest they should have done? In my opinion they should had done the same like for example obsidian or inXile Entertainment -> developing and testing the product on all three platforms. So easy and yet so hard. But they failed on planning resources ... first the mac port which came later and instead doing it right there ... nope another round of wait for the linux guys. And it's not that they didn't had the resources after the initial start of the game. The game sold fantastic. Honestly puting us again on hold won't let me ever support them again. Games like D: OS / Banner Saga with industry veterans which should know what they do, which should know how to check if hey can offer their game one a specific platform or not (and it's in both cases a none compatible middelware) made me step away from kickstarter. If i can't trust them to treat their backers like they would like to be treated when they are in the same situation, how should i ever trust someone who has never released a game before or is very very ambitious with their goals? It's sad that those games who got the chance destroyed it for many others. Choose a middleware that supports the platforms they are (kind of) obliged to support because of their Kickstarter campaign? edqe I'm a bit confused. What do you suggest they should have done? BillNyeTheBlackGuy If this means that future Larian titles will have Linux support from the group up, then I'll gladly wait. My guess it that even without NDA they are nervous about giving bad PR to their partners. But I wish they've explained what those middleware problems were. Sure, I guess they totally agree as well. They already admitted their mistake and they are paying price for their mistake. Glog78 In my opinion they should had done the same like for example obsidian or inXile Entertainment -> developing and testing the product on all three platforms. So easy and yet so hard. But they failed on planning resources ... first the mac port which came later and instead doing it right there ... nope another round of wait for the linux guys. As they said they made a bad mistake. inXile uses Unity3D while Larian is working on their own engine and that makes a big difference alone. Glog78 Honestly puting us again on hold won't let me ever support them again. I guess that's all they can do. Releasing an executable that segfaults on launch would be bad idea as well. Glog78 Games like D: OS / Banner Saga with industry veterans which should know what they do, which should know how to check if hey can offer their game one a specific platform or not (and it's in both cases a none compatible middelware) made me step away from kickstarter. Linux is very new in gaming business and most likely tools, middleware and Linux knowledge are all in very baby step stage. We can be happy every single game that arrives for Linux - even if they come late. I appreciate it when developers take their time to make good ports or natives. Bonus points to Larian. Glog78 We can be happy every single game that arrives for Linux - even if they come late. Well that's a defeatist attitude if I ever saw one. No matter how small a market we are, there's no reason to turn the other cheek when companies take our money and fail to deliver in a reasonable time frame. Linux is slowly catching up, not losing; we shouldn't act like losers. Unreasonable delays like this are not acceptable, and Larian should be made well aware of this. These portability snags are problems they could have and should have foreseen. I'm sure the game is great, but there's no need to pander to a company who obviously does not think much of you. Uhm, for those who already pledged / supported such devs during their kickstarter (like I did with 7daystodie for example), THEY are NOT paying ANY price. The only one paying is the naive customer (such as I) who supported them, believing in their statements. They are not getting SOME money, from people who are only using Linux and are waiting for a native port, rather than playing through wine or even switching to Windows for that time. Feist As a side-note, I'm also eagerly awaiting "StarCrawlers", another rpg that now has a linux-beta available. Starcrawlers appears to be something like "Legend of Grimrock" in a space/sci-fi setting.